(SoC) products requiring high performance memory. and lower cost per port than any other solution on the market. is ideally suited for the next generation of products in these markets. 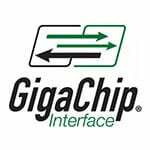 suppliers of complex, high-performance, integrated circuit devices. visit our website at http://www.galileoT.com. or registered trademarks are the property of their respective owners.